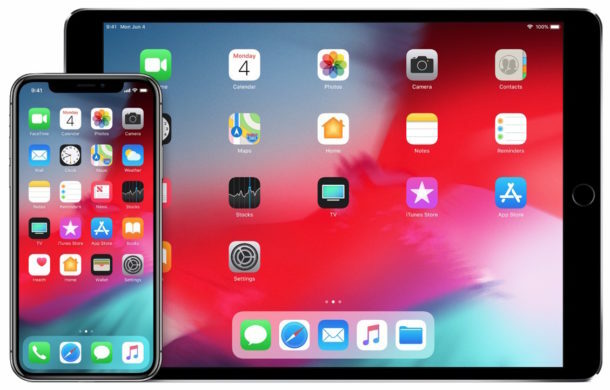 Now that Apple has unveiled iOS 12, the question many people have on their mind is whether or not their current iPhone or iPad will be compatible with the iOS 12 operating system. The good news is that if your iPhone or iPad is even reasonably new, then it will likely support iOS 12. 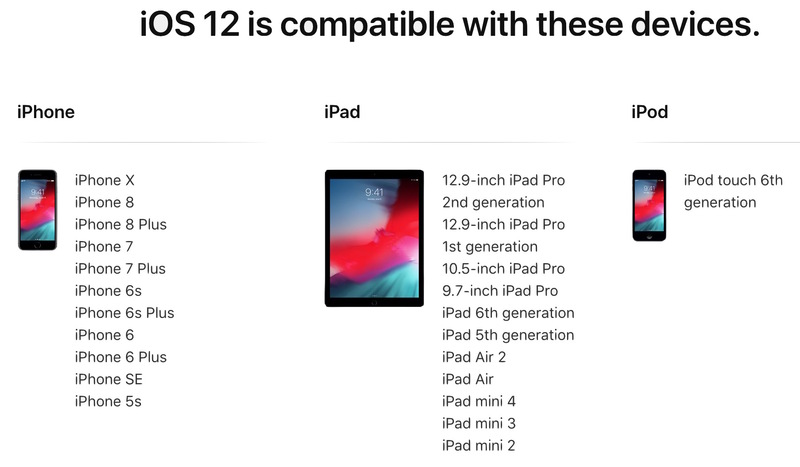 Read on to see the full iOS 12 supported devices list to see if your particular iOS device is compatible with the latest system software version. Apple has said that all devices which support iOS 11 will also support iOS 12. In other words, if your iPhone or iPad wants to run iOS 12 and it can currently run iOS 11, you’re good to go for the new version. This makes sense since many of the improvements to iOS 12 are performance and optimization related, though there are certainly some new features too. The following list is from Apple, detailing all iPhone, iPad, and iPod touch devices which are compatible with iOS 12. If your device is on this list, it will support the system software version. If your device is not on the list, it will not be able to run iOS 12. If your device is on the supported hardware list and you feel like playing around with iOS 12, you will find iOS 12 beta 1 is available to download now as a developer beta, while the public beta will debut sometime soon as well. The final version of iOS 12 is expected to launch this fall. Typically Apple debuts new iOS system software around the same time a new iPhone comes out, so obviously whatever new iPhone models debut will also support the iOS 12 operating system, whether that’s iPhone SE/2, iPhone 9, iPhone 11, iPhone X Plus, or whatever else they are labeled as. iOS 12 isn’t the only new operating system debuting however, and if your a Mac user you may want to check the list of macOS Mojave compatible Macs to see if your Mac computer will run the 10.14 release of system software too. will not update beyond IOS 9.3.5 ? I have found on the other sites too that iPad Mini 2 is updated to IOS 12 and I have also updated mine. Alan, iOS 9.3.5 is the highest level for the iPad Mini 1. I suggest you double check the model number on your device to verify which model you have. So will iPhone 5s or iPhone se will update on the iOS 12 ?